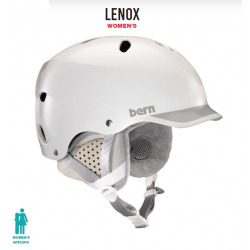 The Lenox: the women’s specific version of our original visor helmet. Still looking great and performing in all seasons. 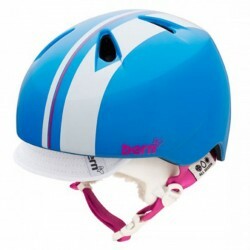 Nina Gloss Cyan Helmet with White Flip Visor Knit. 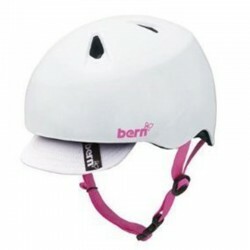 Nina helmet in a gloss white finish with pink Bern logo. 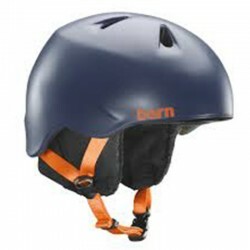 A Junior ski helmet to protect your melon with style. 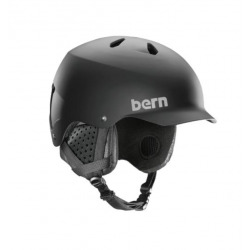 The Watts; our original visor helmet. Still delivering looks and performance in all seasons.